There are Arkansas legal online gambling opportunities at licensed offshore platforms legally available since the state has not passed any state-regulated online gambling laws. 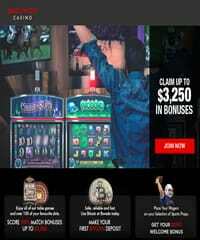 Arkansas is limited in its domestic gaming offers to pari-mutuel wagering on horse and dog races, bingo, raffles, lotteries, electronic gaming machines, and newly legalized but not launched yet sports gambling options. This guide will offer helpful information regarding which types of gambling platforms are the best option for you and your specific preferences, how federal laws interact with state laws, and where to find sanctioned online gambling sites available to AR players. At this time, legal forms of gaming in Arkansas include charitable gambling, lotteries, horse and dog race wagering, sports gambling (operations have not launched yet), and electronic gaming machines. However, AR does not offer or appear to be interested in providing state-regulated online gambling to its residents and state visitors. Therefore, we recommend legally sanctioned offshore online gaming sites to provide AR players with readily available casino, poker, and sports gambling options for PC, laptop and mobile access. While the gambling laws in Arkansas may have provisions for state-licensed online gambling services, these state laws do not prohibit the state's citizens or visitors from participating at legally licensed offshore online gambling sites. AR players will not be violating any laws by engaging in these types of online gambling sites. In addition, there are no federal laws which restrict domestic access to these licensed offshore platforms. Since Arkansas doesn't offer any state regulated online gambling options as of early 2018, your best bet is to align yourself with the most reputable offshore gambling site that accepts Arkansas players. And that is exactly what Bovada is, a trusted and secure legally licensed offshore site that is open to most US players including AR. Bovada is part of a company that has been offering legitimate online gambling for over a decade. They are truly one of the most trusted names in the industry and always pay players when they win. Is Casino Gambling Legal For Arkansas Residents? There are no casinos to be found in Arkansas, this is because casino gambling is not legally permitted by the state. 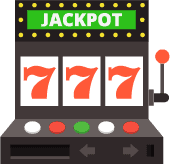 While there are no available land-based casino venues within Arkansas, some casino-style games are available like Video Poker, Video Blackjack, and Video Slots at venues with electronic gaming machines. However, to access these types of games in AR requires players to be at least 21. Is Online Casino Gambling Legal In Arkansas? While the Natural State does not offer any state-licensed online casino platforms at this time. Players from Arkansas who are at least 18 can play online games from licensed offshore online casino gambling sites. This is because there are no state laws which prevent players from accessing these sites, as well as, no federal laws which block this access. The online casinos you see listed below are verified to be licensed and located outside of the US. Each brand has been vetted by our team of industry professionals for security, performance, bonus offers, quality service, and wide game selection. These brands are considered "top of the line" and have years of experience in the industry, therefore, they know how to provide a high-quality gaming experience and give players what the want. Recently, Arkansas has legalized sports gambling for patrons who are at least 21 years of age. However, the state has yet to launch this new state-regulated gaming form. Arkansas has several major sports teams like the Arkansas Razorbacks, the Arkansas Travelers, and the Northwest Arkansas Naturals. In the meantime, Arkansas players who are 18 and up can utilize licensed offshore legal online sports betting sites to legally bet. While Arkansas does not offer state-regulated online sports gambling options, it is likely that the state will bring this topic up during the next legislative session. However, AR players are not blocked from wagering at licensed offshore online sportsbooks. This is because there are no state laws which prohibit such nor federal jurisdiction which prevents offshore betting as long as it takes place at a legitimately licensed destination. You can visit any of the sportsbooks you see listed below and not be in violation of the law. These brands are secure, reputable, and offer high-quality services. We assure these brands as lawful after thoroughly vetting them during our review process. Is Poker Gambling Legal in Arkansas? You will not find any poker rooms in this state, in fact, the only way you can play poker is on an electronic gaming machine with Video Poker on it. Poker gambling opportunities have yet to be fully sanctioned by the state. Nonetheless, AR players can play poker online at licensed offshore poker sites such as the ones listed on this page. Is Online Poker Gambling Legal In Arkansas? While the state does not offer any state-sanctioned online poker gambling players can use USA friendly online poker sites that are operating legally within the industry. There are no state or federal laws which prevent AR players from accessing this type of sanctioned online poker gaming. Some of the industry's leading online poker sites that accept USA players are listed below. Each has been vetted for legitimacy and verified to hold legal credentials allowing them to offer their services online. Arkansas players can legally play poker for money online. Below is a list of brands that have all received licensing from an offshore jurisdiction, hold current credentials, and are in good standing with the gaming community. We only recommend online poker rooms that are legitimately regulated, secure, and based offshore. Why are there so few gambling options in Arkansas? Well, the only gambling initiatives that the voters in Arkansas have been willing to say yes to include pari-mutuel wagering and the lottery, and it took two attempts to get the lottery approved. The overall public opinion of gambling in the state seems to be negative due to their limited available games. However, the rapid legalization of sports gambling is a pleasant surprise which may signal the state's interest in expanded gambling forms. If online gambling is not legal in Arkansas, won't I be breaking the law by accessing the recommended sites in this guide? Only state-based online gambling is considered illegal in Arkansas and that is only because there are no laws which regulate the domestic offer. No state laws prevent residents or state visitors from accessing licensed offshore online gambling destinations. You will not get into any legal trouble as long as you only visit legally sanctioned gambling sites that are based offshore. Is it difficult to collect my winnings from a gambling site that is located out of the country? Not at all. Because they offer their services to gamblers from many countries, they have processes in place to payout to their customers. Payout options often include check by courier, bank wire transfer, Bitcoin, and ewallets. However, fees and delivery times vary based on the withdrawal method chosen. Can I participate in online gambling that is licensed in other states? Unfortunately, no. According to how the current Federal Wire Act and how states with legalized online gambling present their laws, there is no way from a player from one state to gamble online with another state's platform. In the past, Nevada, New Jersey, Delaware, and soon coming Pennsylvania were allowed to share a player pool with each other but these states all had legalized forms of gaming. According to the Wire Act via a new 2019 DOJ opinion, gambling information may not leave a state's borders so this could very well affect the online poker compact between states. Either way, players from a state with no self-regulated online capabilities cannot gamble on another state's platform without being physically within the state which permits state-licensed online gaming. Is it safe for me to play casino games and poker games online in Arkansas? As long as you follow a few rules, then yes, it is perfectly safe. The number one most reliable way to land at a safe and secure online gambling site is to limit your choices to only those sites that have been tested and tried through careful analysis and an intense review by industry professionals who are experienced in areas such as online gambling security. If you venture onto random gambling sites that you find through a Google search, then you are placing yourself at risk. What forms of gambling are available in Arkansas? Arkansas allows pari-mutuel wagering on horses and dogs, electronic gaming machines, lotteries, bingo, charitable gambling, raffles, and soon to come sports gambling. While sports gambling was legalized in 2019, the state has yet to launch its domestic betting offers.